Editor’s note: This article was updated on Dec. 19 with a response from Airbnb. 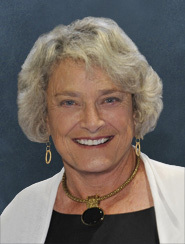 Sarasota County Commissioner Nancy Detert made it clear to her colleagues this week that she does not believe the county should bring suit against Airbnb over Tourist Development Tax (TDT) revenue owed to the county by individuals who rent accommodations through the internet service. “There’s a point of diminishing returns when you’re going to chase tax dollars [through litigation],” she told her colleagues on Dec. 13. Detert just began her term on the board on Nov. 22. Meanwhile, Rob Lewis, the county’s director of community and intergovernmental relations, won unanimous approval to amend the commission’s Florida Legislature priorities to indicate the board’s determination to maintain local authority to collect revenue generated by internet booking transactions. Detert initially offered her comments after County Attorney Stephen DeMarsh provided the commissioners an update on Dec. 13 regarding the status of county negotiations with Airbnb over TDT revenue. That process has been going on for about a year. DeMarsh explained during his report to the board that his office has been coordinating with Tax Collector Barbara Ford-Coates. “A couple of counties have entered into agreements with Airbnb,” he pointed out, through which the internet-based service collects TDT revenue from the renters with whom it works and then remits the money to those counties. However, he added, Airbnb provides no data that would make audits of owners’ activities possible, in an effort to determine whether they were turning over the appropriate amounts of money. That has been a concern of Ford-Coates and her staff, he said, and a concern of other tax collectors in the state. 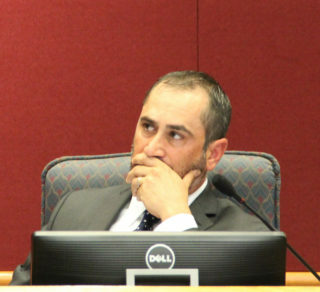 Over the past few months, DeMarsh continued, he and his staff have been evaluating litigation options with other counties, “although we have not moved on that.” He pointed out that his office would instigate no litigation without the commission’s approval. 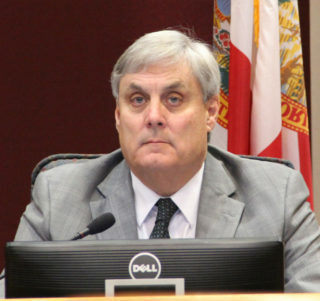 Commissioner Charles Hines, who chairs the county’s Tourist Development Council and has engaged with Ford-Coates in discussion of the issue, told his colleagues he was hopeful that after the beginning of 2017, the Office of the County Attorney could provide a recommendation to the board on how best to proceed. “There is money being left on the table,” Hines added. “I have kind of a different spin on the problem,” Detert responded. “No. 1, I don’t support suing [Airbnb].” Second, she continued, “This is kind of the new economy.” Entities such as Airbnb and Uber, which operate through the internet, have become commonplace, she pointed out. On Dec. 14, when Lewis appeared before the board members for an update on their federal and state governmental priorities, he pointed out that FAC has not included the Airbnb issue among its top legislative matters for 2017. However, when he recently spoke with FAC’s legislative director, he said, he learned that FAC is keeping an eye on the matter. He added that he also had participated in a Dec. 12 conference call with Ford-Coates, an attorney with the Office of the County Attorney and an Airbnb representative. Detert then told Lewis that she expected he already knew of her comments the previous day. “If you can work out agreements with Airbnb that are acceptable to people, I would say that would be the way to go,” she added. “I will make sure our staff understands that,” Lewis replied. Vice Chair Paul Caragiulo then pointed out what the board also had discussed on Dec. 13 — that Airbnb is not the only entity that should be collecting revenue owed to the county as a result of people offering services through an online provider. “In today’s world, with the technology and tools that are available, we’ll see lots of things,” Lewis agreed. Lewis said he felt sure the Airbnb representative with whom he had spoken would become aware of the Dec. 13 and Dec. 14 discussions. Caragiulo raised the point again that other internet-based entities collect “TDT-related fees and revenue from booking transactions …” He suggested modifying the language of the board’s legislative priorities. “Our ‘bed tax’ is predominantly generated, at this point, by the short-term rentals and not by the hotel rooms,” Caragiulo noted. Lewis replied that he felt the discussion merited his effort to review the wording of those priorities to determine whether they should be amended. If he felt change was warranted, he would draft new language, he said, and provide it to County Administrator Tom Harmer, who then could present it to the board for consideration. Hines seconded the motion, and it passed unanimously. Lewis said he would be back before the board in January 2017 for another update in preparation for the Legislature’s 2017 session. That will open at noon on March 7, 2017. Interim committee meetings began Dec. 5 and will conclude on Feb. 24, 2017, the Florida Bar has reported on its website.